Luxury Africa Safaris in the worlds best game viewing area. Custom designed Africa Safaris according to what you want, where you want it, and for how long you want it. We will give you options, ideas, you choose the perfect Africa Safari so that you can get as close to what you want as possible. 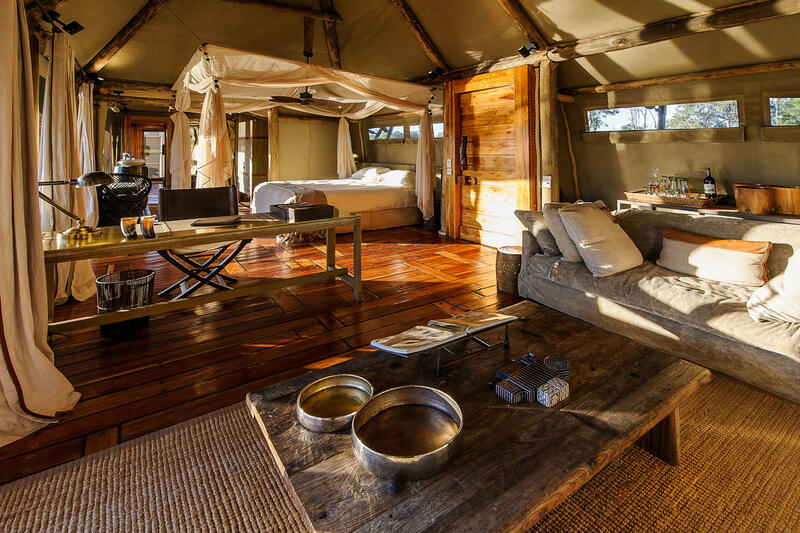 The ultimate Botswana Safari: Discover a breathtaking diversity of habitats,Chobe National Park,The Moremi Wildlife Reserve,the Okavango Delta and the famous Victoria Falls, on this exceptional, fully serviced Luxury camping and accommodated Botswana safari. A combination of some of the best Safari areas that Africa has to offer,the majestic Victoria Falls,with a 4N Indian Ocean Island Lodge getaway to end this incredible journey.